The end of 2018 is just around the corner, but not so fast! 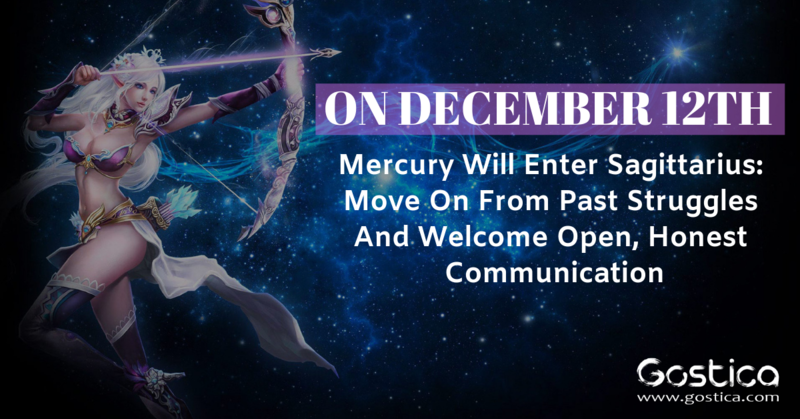 There’s one more important astrological shift that we have to look forward to starting on December 12th, as the planet Mercury makes it’s move into the sign of Sagittarius. Known as the ‘Planet of Communication’, Mercury rules over one of the most important aspects of our lives, our ability to communicate and connect with one another. Imagine a world where we were unable to share what we are thinking and feeling with the people around us – it would be complete and utter chaos! It is the solid foundation upon which relationships are built, trust is established, and success is discovered, so don’t underestimate it. Currently, the planet is hanging out in the mysterious and intense sign of Scorpio. This has led to some significant struggles in our lives as this energy encourages deep, meaningful conversations and plenty of drama. You may have spent months biting your tongue and avoiding sharing some of your frustrations and annoyances, aware that they would cause more trouble than anything. However, with this influence, these negative thoughts and feeling come rushing out before you even realize it’s happening. It’s likely led to a number of fights and disagreements, feelings have been hurt and relationships have been tested. In some cases, you may even be hiding out at home just waiting for it all to come to an end. This influence has only been made worse by the recent shift of Mercury into retrograde movement, turning the planet’s energy completely on its head. Faced with miscommunication, mixed messages, travel delays, and malfunctioning electronics, life has been anything but easy. With Mercury’s move from Scorpio into Sagittarius, the influence couldn’t be any more different. The highly optimistic sign of Sagittarius is about to bring us the relief that we so desperately need, as positive and uplifting conversations flow with ease. If you have been looking for the right opportunity to present a new idea or concept at work or in your relationship, there is no better time than now. 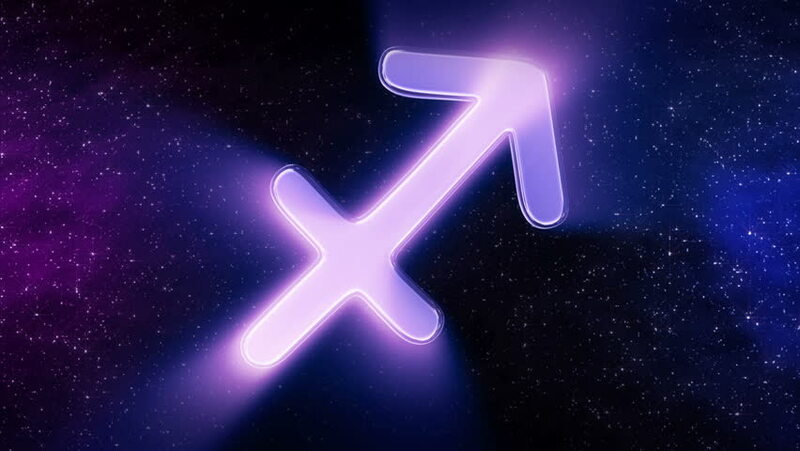 The energy of Sagittarius will ensure that your words are confident, determined and highly energetic. At the same time, there is no sign that is more adventurous, adding further fuel to the fire. When all of this aligns, you’ll be surprised at just how persuasive you can be. This doesn’t mean that everything is going to be easy, however. Sagittarius’ love of adventure and excitement also means that it is often highly impulsive, which can get you into big trouble. Try to take a step back and consider what you are about to say before you say it in order to avoid unintentionally hurting those around you. This level of self-control is going to take focus, effort, and attention, but when you look back on this time in your life you will be thankful for it. Enjoy the freedom that you are experiencing, but don’t enjoy it too much! This can be an enjoyable time for you, but only if you exercise a little caution and consideration.